Photograph 1 - Washington Monument. Location where they filmed I Am Legend. 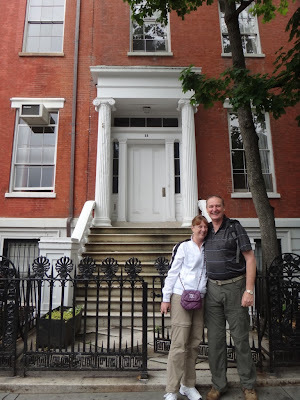 Photograph 2 - Us at the front door where Will Smith departs in I Am Legend, Washington Monument NYC. Photograph 3 - Us in front of the Ghostbusters (Tribeca) Fire Station door, NYC. Photograph 4 - The TV Series "Friends" house in the West Village (a few blocks from our accommodation). 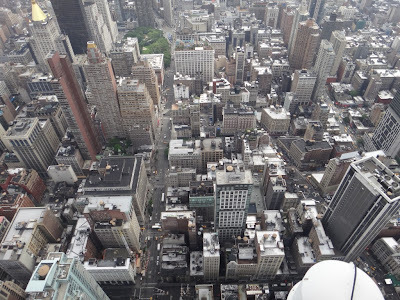 Photograph 5 - One of the many shots taken from the top of The Empire State Building NYC. Photograph 6 - Panoramic shot from the ESB looking south towards downtown. Double click on the image to see a larger picture. Photograph 7 - Yet another picture from the top of the Empire State Building.------------------------------------------------------------------------------------------------------------------------------------------------------------------------------------------------------------------------------------------------------------------------------------------------------------------- We woke this morning to a better day. It is about 24 deg C here in NYC and this morning it is not raining. In fact the annoying clouds disappeared about noon. 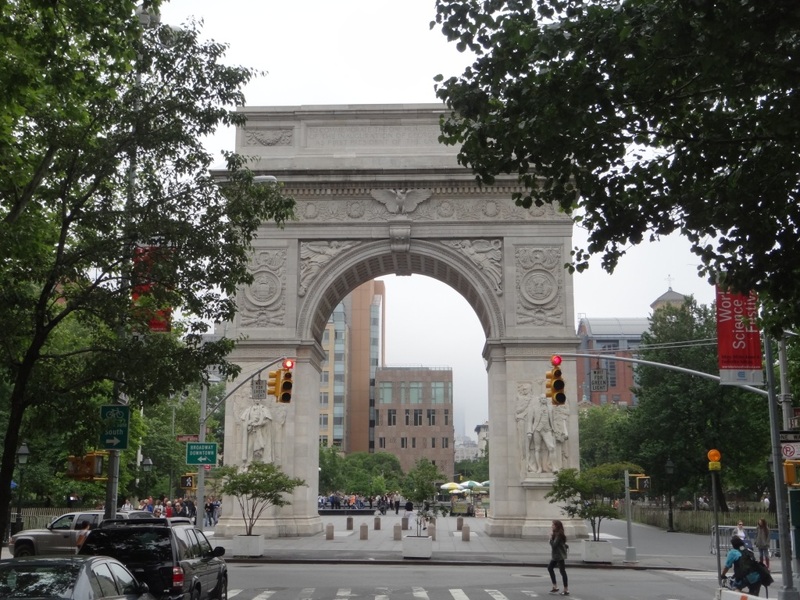 What did we do today - well we had a New York City Movie and TV tour, We caught the subway (we feel that we are expects in the art of navigating and catching NYC subways by now) to 50th Street and had a quick breakfast in Ellen's Diner. It is here that promising young singers wait on tables and sing at the same time. Most are performers at the local Broadway theatres nearby. It was an experience eating bagels and listerning to fine voices, but, tips are the go here. Just outside the Diner was our tour bus for our three and a half hour tour- oh yes, our guide Rosanna (a Pueto Rican decendant) is a singer and actor who caresed us with her good singing voice and narratives of movie/TV knowledge/trivia around NYC. She was great. There are so many locations where movies and TV were made around the city. To mention the important ones are: I Am legend, Breakfast At Tiffany's, An Affair To Remember, Sleepless In Seattle, When Sally Met Harry, Wall Street, Ghostbusters, Superman, Spiderman, Batman series, Men In Black, Crocodile Dundee and numerous amount of "chick flicks". For TV there is Seinfeld (we were given as a treat - a black and white cookie for nostagia), Friends and other American TV series that we can't remember back in Oz. We saw previews of the newly released MIB III with scenes that were shot. The tour was okay but how passionate was the tour guide? She knew everything about NYC locations - a form of Bill Collins in New York. 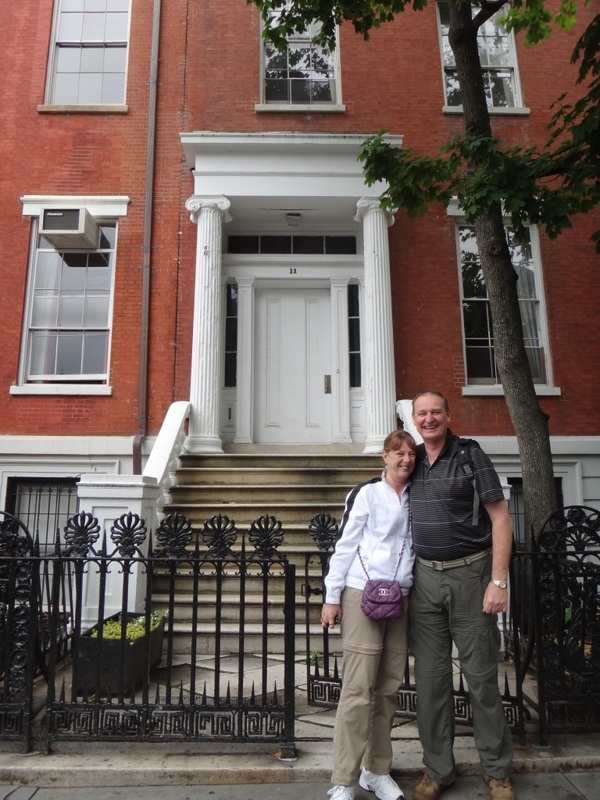 The highlight of the tour was the location of the building where Freinds resided. Amazingly it is only a few blocks away from our accommodation. We also visited Tribeca. 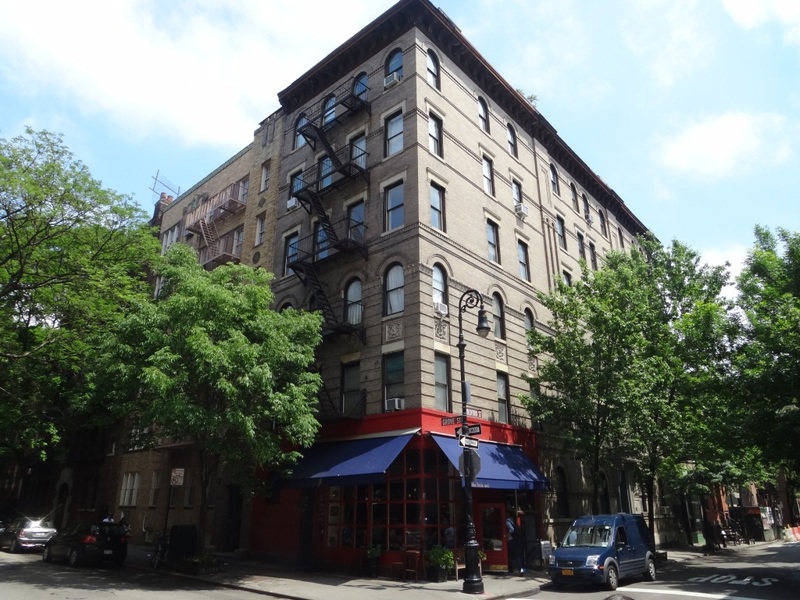 This is where the rich and famous live from show biz including Robert De Niro, Sarah Jessica Parker, Beyonce and David Swimmer Two passengers believed they saw David Swimmer in nearby Soho - the credibilty of the sighting is dubious. We were disembarked at 34th Street and treked to the Empire State Building at 2:30pm. To set the scene we had arranged and paid for Express/VIP front-of-the-line tickets to ascend the Empire State Building to use in our own time. Now remember the weather, yesterday it was pouring with rain and the this afternoon it cleared with promising good views. Well every man, women and dog wanted to climb the ESB during this excellent opportunity. The line at the entrance was atrocious. However, as we had great tickets we made it to the top within ten minutes to the angst of many people who were frustrated with their slow progress - it would have taken them at least two hours to reach the top. The moral of this story - buy prepaided VIP tickets and avoid the frustration - it was one of the best things we did before our holiday. 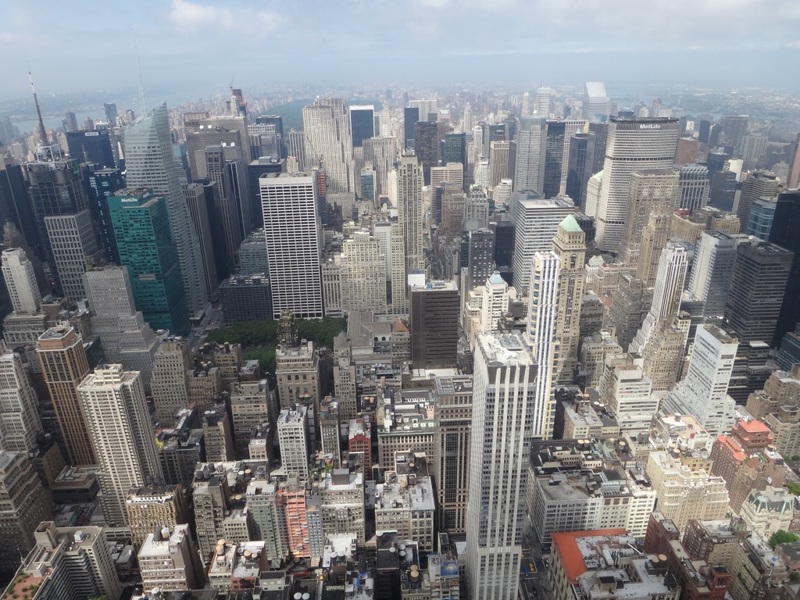 The views from the 86th floor is fantastic. The attached photographs shows the commanding views of NYC top of the world. One cannot put in words the view from the top. 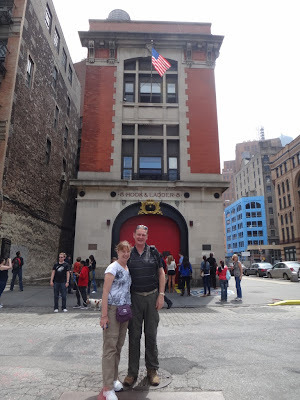 Oh by the way we did not see Tom Hanks or Cary Grant - as in Sleepless In Seattle or An Affair To Remember - we only saw a few thousand visitors on that day. After spending aboutt 30 mins up in the sky we ascended and bypassed the other thousand or so trying to get down. After this visit we walked along 34th Street and had a couple of cocktails at a diner before returning to our accomodation. Tomorrow we hope the weather will be still clear for our helicopter ride. Cheers.